At Animal Pest Management Services, Inc we have over 35 years of experience in the pest control industry. We are the premium residential and commercial pest control provider in Southern California. We are focused and committed to providing home and business owners with fast, effective, and efficient pest control service at an affordable price. Contact us today to learn more about our 100% customer service commitment. Termites cause billions of damage across the United States every year. 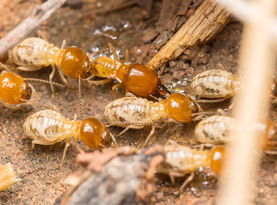 In Southern California, we typically deal with three types of termites; Subterranean Termites, Drywood Termites and Dampwood Termites. Call us if you suspect these destructive insects on your property! APM has the tools, products and experience necessary to deal with any size ant infestation. Our skilled technicians will take care of your immediate ant problem along with providing you with a scheduled maintenance program that will ensure that they stay gone. 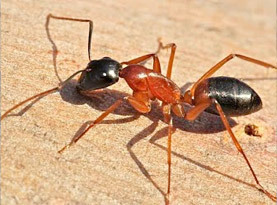 Types of ants in California include: Imported Fire Ants, Harvester Ants, Argentine Ants, Odorous House Ants, Pavement Ants, Carpenter Ants, Thief Ants, Pharaoh Ants and other. Unlike other insect varieties, bees, wasps and hornets can become dangerous when disturbed. 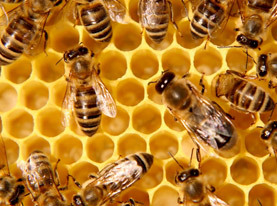 If you notice a large amount of stinging insects in or around your home or business, there could be a hive or nest located somewhere on your property. Contact the pest control professionals at APM for bee/wasp/hornet removal and relocation today. At APM we provide effective cockroach control solutions using specialized products and procedures to eliminate cockroaches from your home or business. Our products are guaranteed to be safe for your family and pets. Our pest control professionals have the knowledge, experience and expertise to take care of your cockroach problem quickly and effectively. Cockroaches commonly found in Southern California include: German Cockroaches, Oriental Cockroaches, American Cockroaches, Brownbanded Cockroaches, Smokebrown Cockroaches and Turkestan Cockroaches. Fleas can multiple quickly and many of our customers claim they literally appear to take over a home or business overnight. Many homeowners try to tackle a small flea infestation on their own, only to find that the secondary infestation which occurs when the hatched eggs have matured end up causing an even larger problem. At APM, our trained pest control specialists and technicians understand fleas and how to get rid of them once and for all. Contact the specialists at APM today to schedule your flea inspection and treatment program. The professionals at APM have the skill and experience to take care of unwanted spiders in your home or business. Some of the most common species of spiders found in Southern California include: the Black Widow Spider, Brown Recluse, Wolf Spiders, Yellow Sac Spiders, Cellar Spiders, House Spiders, Jumping Spiders and others. If you have a spider problem in your home or business, contact the experts at APM for immediate assistance. In most instances, tick infestations occur in the home when animals bring them indoors on their fur. Once inside the home, ticks can multiply quickly. Ticks are parasites that can pass along blood borne disease including Lyme disease during their blood meal. If you have a tick problem in or around your property, contact the knowledgeable professionals at APM for assistance. 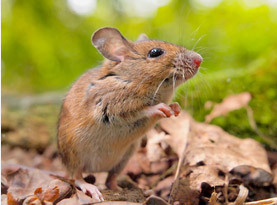 Our team of expert rodent control technicians has the knowledge and skills to remove unwanted rodents from your home or business along with preventing them from coming back. Types of rats and mice found in the Las Vegas Valley include: Roof Rats, Norway Rats, Deer Mice, Common House Mouse, Woodrats, Voles, Shrews, Moles and Gophers. APM specializes in all kinds of wildlife removal. If you suspect Coyotes, Rabbits, Bats, Raccoons, Skunks, Opossums, Birds, Feral pigs and/or Feral cats or other wild animals on your property, don’t try to confront them yourself. Call APM for immediate wildlife trapping and exclusion to keep them from coming back!